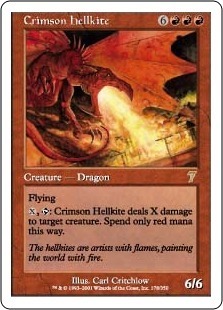 , : Crimson Hellkite deals X damage to target creature. Spend only red mana this way. The hellkites are artists with flames, painting the world with fire.